If you have spent any time searching the internet for a stick welder, you will know that there are currently hundreds to choose from. Finding the best one for your specific needs is a daunting and time-consuming task. To save you the time, effort and stress of sifting through hundreds of products, we have decided to take matters into our own hands. Whether you are looking for a stick welder for your home, farm or place of work, we have tried and tested the best on the market, boiling the choice down to just five. If you are in the market for the best stick welder, here are five comprehensive stick welder reviews to make your decision easier. 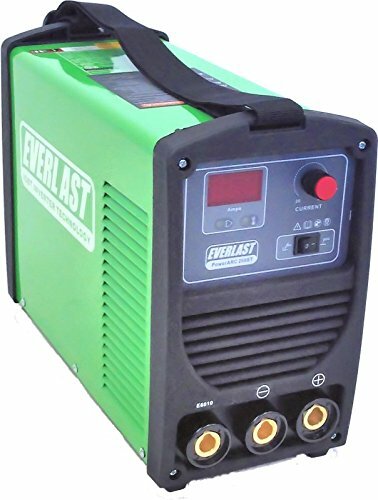 We have been using Everlast welders for several years now and when the PowerArc 200ST was released in 2017, we were excited to give it a test run. We expected great things from the 200ST, as every other Everlast welder had been a staple in our workshop for a long time, but we were blown away by how good this one was. The first thing we noticed was the speed at which it started. A lot of the best stick welders will start fast but this one takes it to another level. It’s also incredibly lightweight. These two features alone made it worth the investment, but luckily it has many more benefits. The 200ST uses DC current with no AC current at all. The power output was superb and we had no issues at all. The arc force control was on point and allowed for more precise arcs in short arc situations. 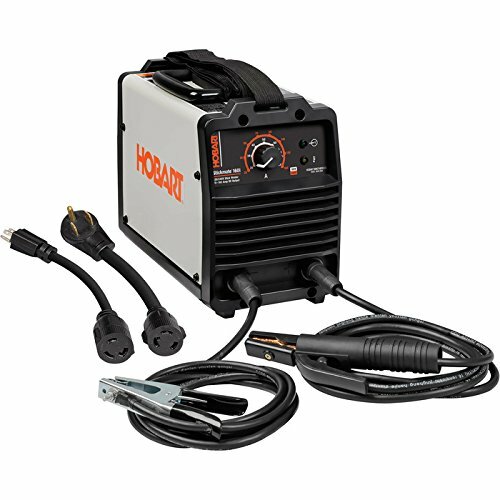 The PowerArc has both stick and TIG welding capabilities and can be used at both 120 and 240 volts. The built quality is second to none and the design is unique and easily recognizable. Overall, the PowerArc 200ST is the best stick welder under $500 and is the perfect choice, regardless of whether you are a professional or a hobbyist. Coming in at roughly the same price point as the Everlast, the Hobart is definitely the second-best choice on the market. While the Hobart is lighter than the Everlast at just 20 lbs., that’s about where the advantages end. It uses the same power input as our number one choice, but it doesn’t seem to be as powerful once it’s switched on and working. With that being said, we were welding 5/32-inch steel with no problems at all and the overhead welding was easy and painless. What makes the Hobart so great is its ability to dial in the exact amperage that is required. You can easily adjust the amperage by as little as 1 amp to make sure everything is precise and how you need it to be. This is a cool feature that we really enjoyed. The welder itself and the power pack is incredibly strong and durable. For an inverter, we expect this to last a long time. It’s also made by a brand that we have used for years so that’s always a bonus. Overall, the Hobart 500570 is a fantastic stick welder and one that we would still recommend to those who want something other than the Everlast. If you are looking for the best value for money, look no further than the Amico. 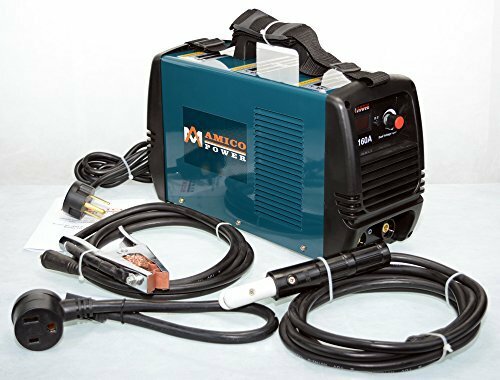 When the team were deciding which welder was the best value for money, every single one suggested the Amico Power DC-160A. It was a unanimous decision. The Amico works great straight out of the box, making it ideal for those who don’t like too much preparation or set-up time. It can work with a wide range of stick sizes and it can produce 160 amps out of a standard power outlet. It has a 60% duty cycle which is refreshing to see in an industry that is usually dominated by machines that offer much less. While it’s not going to compete with the first two welders on our list in the quality department, it still managed to produce clean, smooth welds on a consistent basis with little to no spatter. The 10ft cable and work clamp that are provided aren’t of mind-blowing quality but they allow you to get the job done without any issues. Overall, the Amico is the best value for money, especially for those who are new to welding or those who don’t require an industrial standard piece of kit. The fourth stick welder on our list is the Easy Weld 298 from Forney. Forney have always been good to us and we have enjoyed using their products over the years. The Easy Weld is exactly what it says on the box: It’s easy. Whether easy is a good thing to you will depend on your experience level and the type of welding that you do, but for most professionals, easy is not always a benefit. 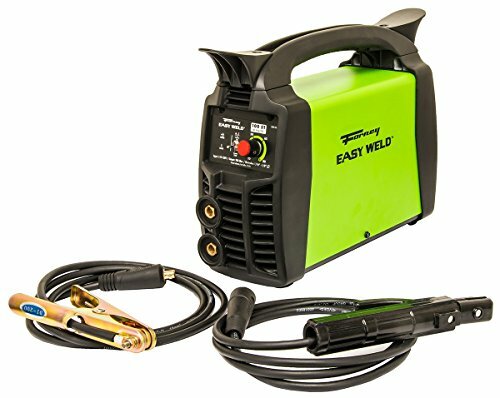 With its 120V input and 90-amp output, the Easy Weld is not a powerhouse of a stick welder. It’s not going to be used for industrial applications or any serious welding work. With that being said, we really enjoyed playing around with it. What it lacks in power it gains in other areas such as its ease of use, it’s light weight and its compact, portable size. The Easy Weld can handle up to a 1/8-inch electrode and it is TIG compatible. We didn’t get to test the TIG side of things since the torch is not included, but judging by its performance as a stick welder, we expect it to be reliable and efficient. It’s not very often that we are disappointed with a product enough to advise you against purchasing it, but with the Amico ARC-165 it’s hard not to. Our goal is to make sure you get the best tool for the job, so if advising against a product will help you, we will tell you the truth. Although the Amico is made to be a budget friendly stick welder, it still comes in at over $100 so you would at least expect it to work. Out of the box, the Amico looks solid and has all of the features that you expect to see on a stick welder. The only problem is, it hardly works. The 230V setting isn’t powerful enough to produce a solid arc, it’s flimsy to hold and it overheats too quickly. For a few extra dollars you can buy the Forney Easy Weld, which is considerably better in every single department. If you have been considering the Amico Arc, we would advise against it. Scroll back up and re-consider any of the other four on the list. You will thank us! One of the main reasons why people are attracted to stick welding is because it’s a simple, no-frills way to get the job done. With that being said, choosing the best stick welder is usually more difficult and stressful than using the actual product itself. To combat this issue, we have put together a comprehensive buyer’s guide to inform you of everything you need to know before parting with your hard-earned cash. Whether you’re a hobbyist or a professional welder, we hope this information gives you more confidence in your decision. Let’s start by looking at the different types of stick welder available. The first thing to consider is which type of welder you want. There are two types available on the market: Inverters and Transformers. Both of these stick welders will get the job done efficiently, but they do have their own pros and cons that are important to know. Let’s start with the most popular – The inverter. The most popular type of stick welder, as well as the most expensive, is the inverter. Inverters are popular amongst hobbyists, freelance welders and those who need a welder that is highly portable. Weighing in at less than 20 lbs., inverters are perfect for those who need something that is easy to move from one job to the next. They are also cost effective, easy to use and extremely efficient. The welds that they produce are clean, precise and have a smooth, secure arc. Transporters are generally cheaper than inverters and they typically last a lot longer. The reason why they are second best is simply due to their size and weight. These things are robust and built to last. Their lack of portability is what turns a lot of buyers off, but if mobility is not a feature that is important to you and you want something that will probably last a lifetime, consider saving a few bucks and go with a transporter. Now that you have an understanding of the two types of stick welders available, let’s break down the most important factors that will influence your decision. The input is measured in volts and most stick welders will be available in two options: 110-120V and 220-240V. The smaller of the two voltages is more than enough for a hobby welder or a welder who only needs to perform small touch ups and welds. If you need something a bit more powerful and professional, a 220-240V is the only choice that makes sense. 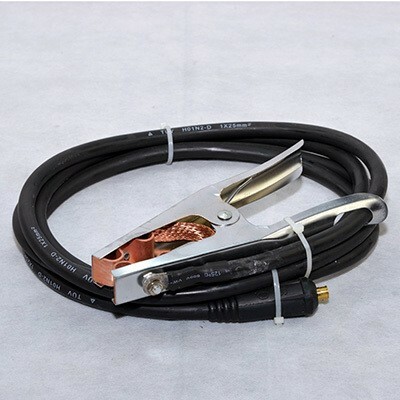 The output refers to the amperage of the welder and is one of the most important things to consider when buying one. The lower the amperage, the more passes you may require to get the job done correctly. Lower amperage stick welders are cheaper, but the amount of time and effort that is required to complete a weld that should be finished with just one pass is not worth the savings. We would highly recommend spending a little bit extra to purchase a stick welder with at least 100 amps. Trust us on that one! The cheaper, entry level stick welders will generally use AC (alternating current) as their source, simply because it’s the most readily available in people’s homes. 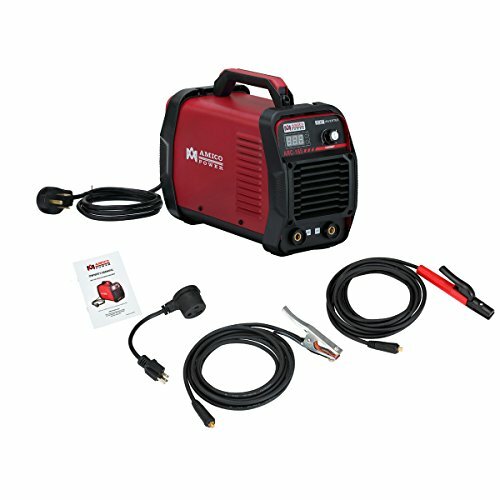 If you are a DIY hobbyist or someone who is new to welding, choosing a welder with AC current is your best bet. They won’t produce smooth arcs or be as powerful as their DC counterparts but they will get the job done cheaply and efficiently. The most common units will utilize DC (direct current) because they are more reliable, produce smoother arcs and are more efficient when welding vertically or overhead. DC welders will usually cost more than AC welders, but they are much more efficient and will produce better quality welds. They also have the ability to work in two different polarities (negative and positive) giving you more flexibility. AC/DC welders utilize both AC and DC currents, ultimately giving the welder a choice between the two depending on the situation. 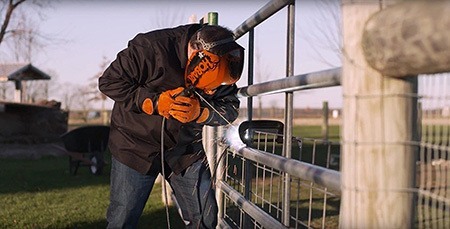 AC/DC welders are more reliable, produce better quality welds and are overall better quality. With that being said, they are also the most expensive so it’s up to you to decide whether it’s worth the investment. If you are a freelance welder or someone who needs to move their welder from one place to another quite frequently, a good quality inverter is the only choice worth considering. Transporters are too heavy to move around easily since they can weigh up to around 100 lbs. compared the mere 20 lbs. of an inverter. If portability is a priority of yours, then an inverter is the type we would recommend. All of the stick welders on the market will have passed a quality control check, meaning they’ll be safe to use. However, there are certain safety features that are a bonus and are recommended to look out for. Thermal overload protection will automatically switch off the welder when it gets too hot, reducing the risk of injury. An extra step of protection that is becoming more and more common is a duty cycle indicator. Every welder has its maximum work capacity, and knowing when it’s getting close is a useful feature that could potentially save you from injury. The indicator will light up when the welder is nearing the end of its duty cycle, gradually getting brighter as it reaches its absolute end. The duty cycle is essentially the amount of time that your welder can work before needing a rest to cool down. The higher the duty cycle, the longer you can work without interruption. Knowing what type of welding jobs you will be doing, as well as the length of time you weld for on average, will influence the percentage of duty cycle you will need. Higher percentages are always better, but obviously more expensive. Stick welding is an easy form of welding that is a lot of fun to do. Our team had a fantastic time testing and producing these reviews of stick welders. They all have their own unique features, pros, and cons. However, the standout winner and welder we would recommend the most is the Everlast PowerARC 200ST. Not only does it look cool, it did everything that we would ever need from a stick welder. It’s quick to start, it’s versatile, it’s easy to use and it comes in at under $500. That makes it a total steal. With that being said, it’s still not the best value for money. How could it be when we have the Amico Power DC on the list? Whatever you do, don’t confuse this beauty with the poorly-made Amico Arc. If you are looking for value, the Power DC is the one you want, but if you are looking for performance, don’t look past the PowerArc. Looking for an aluminum welder? Check our guide here.